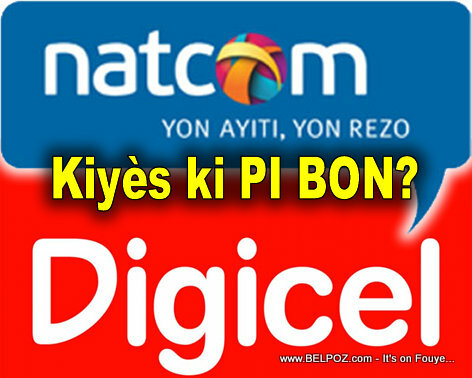 HAITI: Natcom Vs. Digicel... Kiyes ki Pi Bon? KREYOL: Haiti Mobile - DIGICEL anonse li pwal OGMANTE pri apel li yo... Lajan Americain an monte pitit... LOL... ou panse se pri DIRI selman ki tap monte??? Kisa ou panse de sa??? According to Digicel, they have lots of expenses in U.S. dollars and they have not increased their rates in the nine years they've been in Haiti. So this time, Digicel announced an increase of about 10% on all calls outside of their packages.